Over the past few months I've been helping out babysitting for a close friend. Her son is only six so he needs to be strapped in his booster seat still. And let me tell you it's been quite fun switching the seat back and forth between her car and mine each time she drops him off. Okay so maybe I'm exaggerating a bit cause it's really not that much fun. But I just can't see spending the money or taking up my valuable space to store one for those help out moments. It has definitely made me thankful that both of my kids are well past the stage of needing a booster seat. I say that because I remember what a hassle it was toting around their bulky seat in the back of my car and switching it to their grandmas car when she would pick them up. And how irritated my daughter would get when I made her use it even when friends were in the car that were older and didn't have to use one. She said it was embarrassing. But as a mom I had to make sure I was protecting her and following children's safety laws. Thankfully booster seats have come a long way since then. 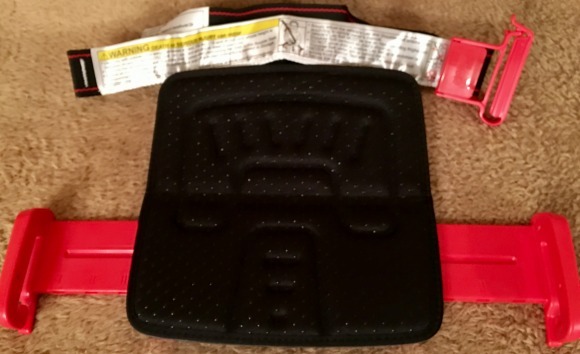 And thankfully I was able to get a sample of the new mifold® Grab-and-Go booster seat® because it's been a lifesaver. Now I don't mind storing a seat for those times I need to help someone out. It's so compact that I can actually even store it right under my car seat and never even notice it's there. I'm telling you this thing is awesome! I sure wish it was around when my kids were younger. I would have bought one for each of us and my mom just to keep from having to use the full sized bulky seats. The mifold® Grab-and-Go booster seat® is the most advanced, compact and portable child car safety seat in the world. It's more than 10x smaller than a regular booster and it's just as safe. mifold works in the exact opposite way to a traditional booster seat. Instead of lifting the child up, mifold brings the seatbelt down. After decades of improvements in the rate of adoption of child restraints, there are still many journeys where children do not have an appropriate restraint (estimated at 20% of all journeys). There are times when a booster seat is simply not available. With mifold, we eliminate these real-life limitations. For the first time ever, mifold is solving the problem when a bulky restraint is not available. • More than 10x Smaller than a regular booster and just as safe. • Safety tested and meets or exceeds NHTSA standard FMVSS 213 in the USA. • Compactly folds and fits into a child's backpack, a glove compartment or bag. • Features 3 seatbelt clips, two on both sides of the hips, and one on the shoulder. • Age range: 4 years and up. • Fits children 40-57" tall. 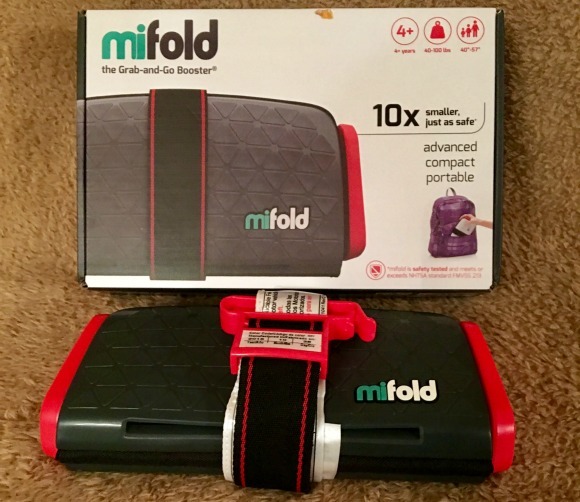 Buy it: You can purchase the mifold® the Grab-and-Go Booster online. I was unfamiliar with these boosters! I will look into these! This would be perfect for my grandson to use! Switching car seats around is such a pain!